Man Overcomes Mysterious Illness With The Power Of Positivity – Now He's Helping Others! Jim Curtis is an award-winning health industry pioneer. But reaching the pinnacle of success, as he has today, was no cake-walk. Only after accepting the curveballs and challenges that life threw his way could Jim find happiness and thrive in his career. The sudden onset of a mysterious illness when he was a teenager completely altered Jim's life. He woke up one day with numbness and pain in his feet and, very shortly afterward, the numbness consumed his whole body, leading to paralysis in his right leg, neurological complications, fatigue, and eventually a deep depression as a result. Consumed with his illness, Jim was living in despair. That is, until he took matters into his own hands. Jim traveled across the world, visiting more than 200 doctors in the hopes that someone would be able to shed some light on his condition. But he never found the answers he was looking for. "In the beginning, I was in survival mode, meaning total denial, and I did that for a really long time. Until I got older, a little bit stronger emotionally, and more evolved mentally, that I said, I have to snap out of this survival mode and find a new way of doing things," says a happier and healthier Jim now. Adopting his new positive mentality, Jim set out anew to fulfill his life's journey. He followed his passion, stayed connected to healthcare, and ended up overseeing the growth of companies like Remedy Health Media, Everyday Health, WebMD, and OnHealth into immense digital health platforms. Jim found along the way that through story-telling, he could help others overcome their obstacles. 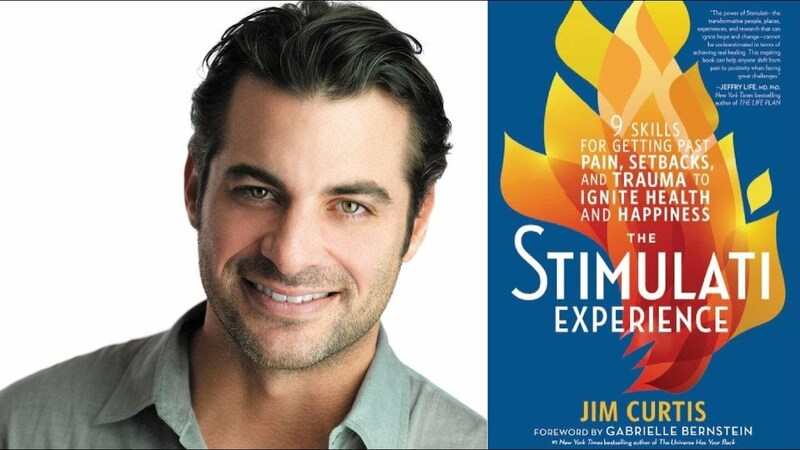 Jim outlines his own incredible journey, as well as his step-by-step program to overcome pain, setback, and struggle in his new book: The Stimulati Experience. In it, the author uses real people's stories of overcoming challenges to show that anyone can transform their life into one filled with freedom, joy, strength, and purpose—simply by changing their mentality. This HooplaHa original video was produced by Tracy Chevrier, shot by Fanny Texier, and edited by Kellie Sieban. For more inspiring videos like this, follow us on Facebook and sign up for our Only Good News Newsletter.